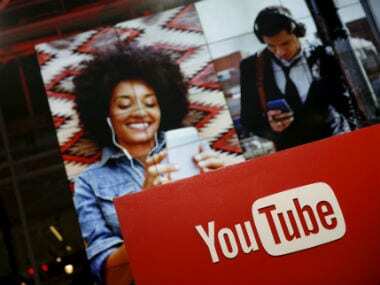 YouTube has introduced a 'Breaking News' feature to its feed section in a recent update, where it will post videos from various news agencies and newsrooms. YouTube brings 'breaking news' in its feed. Reuters. According to a report by the Android Police, this feature appears in a horizontal scrollable format where seven videos appear from different sources. Also, the videos appearing are not personalised or based on the choice of content, rather they remain the same for people in a particular region. However, those who do not want the 'Breaking News' added have an option to either click the cross on the feed section on the desktop or click the not interested button on the three dot menu present on the YouTube app feed. However, those who do not want the 'Breaking News' added have an option to either click the cross on the feed section on the desktop or click the not interested button on the three dot menu present on the YouTube app feed. Currently, it is available on both Android and iOS. The update is yet to be rolled out completely and seems to be rolling out in batches. YouTube's foray into the news media market isn't new. Initially, news channels would use the medium to disseminate information. Despite that YouTube has primarily remained to be a videos only platform which has less to do with news. Meanwhile, Twitter and Facebook have taken over the news media market. It would be interesting to see if YouTube can encash over this new feature. Meanwhile, Twitter and Facebook have taken over the news media market. It would be interesting to see if YouTube can encash this new feature. Interestingly, Google, which took over YouTube in 2006, had introduced an Accelerated Mobile Pages, also known as AMP, to disseminate news stories or news websites for countries where there was poor connectivity and internet coverage was far less. This was more or less like Facebook's Instant Articles. From Barcelona attack to the sacking of Steve Bannon, the breaking news section can probably give a new heads up to the news industry.